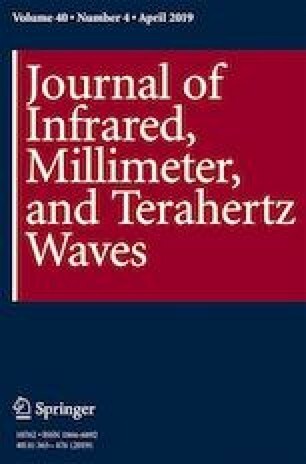 We present a systematic characterization of dielectric permittivity of 6 commonly used, low-loss polymers namely polystyrene, parylene, polyimide, SLA resin, SU-8, and SUEX for the 100-GHz to 2-THz bands using transmission mode time domain spectroscopy. The dielectric constant and loss tangent for each polymer was systematically recorded using the commercially available TeraView TPS-3000 system and an analytical multilayered media transmission model is used to extract sample permittivity and loss through curve fitting the measured data. Among the studied polymers, polystyrene exhibits the lowest material loss with a loss tangent less than 0.0069 up to 100 GHz to 2 THz. Also, effects of lithographic processing on permittivity and loss for commonly used epoxy-based photoresists SU-8 and SUEX are documented and compared. We show that the dielectric properties of dry film SUEX is comparable with those of SU-8. As such, SUEX is an easy-to-process alternative to commonly used SU-8 for mmW and THz frequency applications. This work is supported in part by Office of Naval Research Program No: N00014-14-1-0810 and National Science Foundation under Grant No. ECCS-1444026 and CNS-1618566. Any opinions, findings, and conclusions or recommendations expressed in this material are those of the author(s) and do not necessarily reflect the views of the Office of Naval Research or the National Science Foundation.